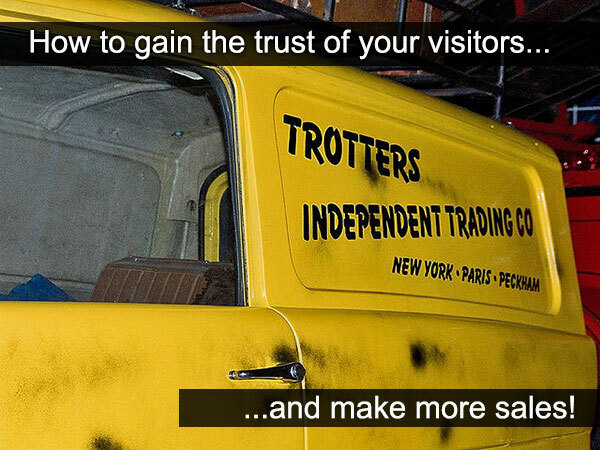 A look at how to gain the trust of new visitors to your website, improve your conversions and make more money! If you want to make money online, at some point you are going to have sell something (either directly, or as an affiliate). It goes without saying really. The transaction could involve a physical product, a virtual product or a service, but sales are sales and to make money you will need to convince your visitors that they should trust your advice/expertise and part with their hard earned cash. By definition, for you to have more money, someone else has to have less of it (at least for a while!). So how do you go about building that trust? Well, firstly let’s take a look at a traditional sales/marketing process, where you have real world contact with your ‘prospects’ and see which elements can be replicated/adapted for a virtual environment. There is a lot to be said for looking someone in the eye when you are doing business. A friendly handshake, a warm smile. If you walk into a shop and take a liking to the salesperson you will probably be more inclined to buy from them right? With online marketing you don’t have the luxury of real world contact, so how can you get across that you are a warm, friendly, approachable guy or girl..? A good place to start is your profile pic. This should be consistent across all your content and social media – with google+, facebook, twitter and linkedin being the most important social platforms. I always think it is a good idea to have your picture at the top of your content/articles (including guest posts if possible). It is the first step in reassuring new visitors that you are a real person, offering personal opinion and genuine advice. It’s probably also a good idea for that profile picture to be a nice big smiling headshot (before you say anything I know mine isn’t!). Make sure you register a gravatar with the same picture, so that any comments you post on other sites will have the same happy, smiling mug shot. Your ‘About’ page is one of the most important pages on your site. In fact it’s probably second only to the home page in terms of importance. If a visitor is interested in your initial content/sales message, it is more often than not the first place they will click before deciding whether to carry on with the process. There is a skill to writing the perfect about page, and it is a topic that is worthy of it’s own article, but here are a few quick tips on how to tailor it to build trust and increase conversions. Your about page is… about you… so get across a bit of your personality in there. 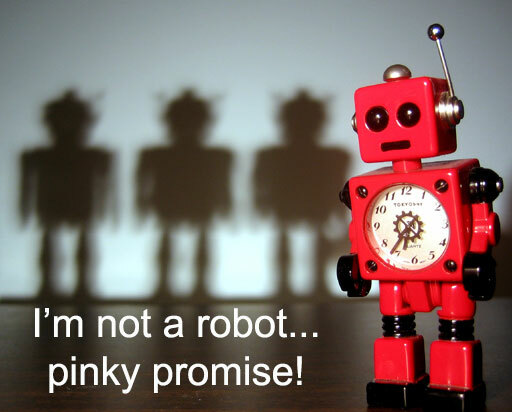 Don’t just make it a boring, robotic sales pitch. By all mean, list your areas of expertise, qualifications etc, but try and also hint at what makes you tick. What motivates and inspires you? Why you love doing what you do? The ‘me’ here is your visitor/prospect. What’s in this for them? What will they learn from you? That is why they are on your site after all! The best about pages will balance the ‘You’ and ‘Me’. 12 Of The Best About Pages (by Ramsay Taplin) – in fact, while you are at it check out Ramsay’s own about page, which is actually titled ‘About Me And You’! Beyond your own site, there’s a good chance that a new visitor seeking to satisfy themselves that you are a ‘real person’ will want to check out your social media profiles. Again, I could go on about this all day, but here are a few quick tips for using your social media to build the trust of new visitors/readers. Make sure links to your social media profiles are clearly displayed on your site. You can’t shake someone by the hand online, you can’t offer them a coffee and a jaffa cake, but that doesn’t mean that you can’t make them feel welcome. Your copy should be warm, friendly and engaging; whether you are writing an introduction for your homepage or an in depth article on a product. Talk to your readers directly. Write in the first (I) and second person (you). Colour your writing with anecdotes and personal experiences. No-one likes an overly pushy salesman and there is a fine line between friendly copy and being overly familiar. A pet hate of mine is when I get spammy, unsolicited affiliate marketing emails that start ‘hey buddy’ or end ‘talk soon’. The talk soon one particularly irks me as I have taken to replying to the odd one (I know that the email probably doesn’t even go anywhere…) asking to explain how they got my email address. Needless to say I never receive a reply. Be friendly and warm, but also remain professional. So, while there is no substitute for face to face contact, you can still tailor your content in a way that gets across your personality and helps to build trust. Let’s look at some other ways you can build trust on your site. Ok, no-one likes a show off, but at the end of the day you have to shout about your achievements a bit. 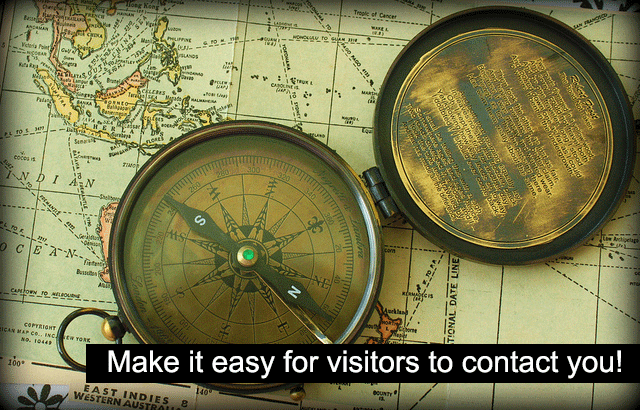 If you have 10,000 email subscribers, then tell your visitors! As social animals we like to follow the crowd a bit and will feel safer in giving over our details if there are a lot of people who have done so in the past. I don’t have 10,000 email subscribers (yet…), but as soon as I do I’ll definitely be putting a big shiny box about it somewhere on my site! If your site has received good coverage on other high profile sites/media then be sure to tell your readers. Put a box somewhere saying ‘As featured in…’ with the logos of the sites that you’ve appeared on. If you get regular coverage you’ll probably want to have a dedicated PR/press page where you link to your past coverage. This will also help you to get more coverage in the future! Make sure your contact details are easy to find. It’s often a good idea to include your address in the footer of each page (this will also help with local SEO). Potential customers will often send an email enquiry before purchasing your product or service, so make sure you respond to all email enquiries promptly and professionally. If you say you will respond to all emails within 24 hours on your site, then make sure you do! Here are some trust building tips, which apply specifically to blogging. Show that you care about your readers opinions by taking the time to respond to your comments. Even if it is just a quick thank you! It’s ok to admit to making mistakes sometimes, we are all human and nobody gets it right all the time. For example, I recently ran an outreach experiment and made a couple of bloopers (the biggest being forgetting about Thanksgiving and Black Friday). 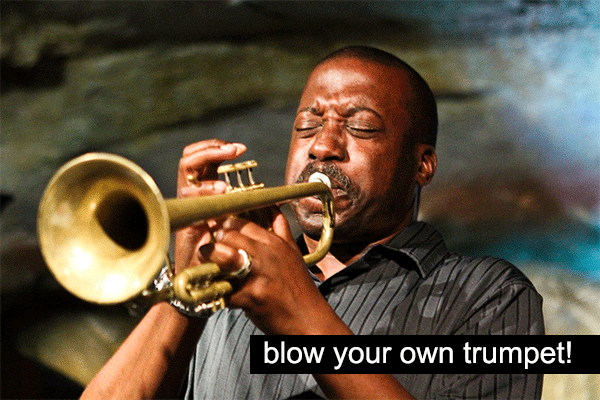 …But Explain How You Learned From Them! When you do make mistakes, explain how you learned from them as this will help your readers to avoid making the same ones. You have gone through the pain so your readers won’t have to! If you are selling a product then you are naturally going to talk it up, so including additional genuine customer reviews (and making it easy for visitors to add their own) is a good way to build trust and help with sales. This will also help with your eCommerce site’s SEO! Make sure your checkout pages are protected by SSL and put a badge on your checkout pages telling visitors that your site is secure. and that these pages are easy to find! Gaining the trust of your visitors and building a rapport is one of the absolute keys to successful internet marketing (in fact, marketing in general). Here’s a quick bullet point list of what we have covered. But don’t be overly familiar! Hopefully the above will help you to tailor your own content/site/social media to build this trust and make more sales! If you have any additional tips on building trust you would like to share, or questions then please leave a comment below (I will of course reply!) and for loads more internet marketing and money making tips sign up for my free email newsletter below. David — as always — I love your posts! They’re always so well written and to the point! Have you ever considered writing for BloggingTips.com? I can help set you up if you’re interested. Anyway, I definitely agree with making someone feel welcome to your site. No one likes to be brought to a nice site only to be sold to. As long as you’re actively providing them something of use for free, you’re bound to have them return (like me, right?). Thanks James, glad you enjoyed it. I’m definitely interested in writing for bloggingtips, will drop you an email tomorrow! Finally I get to know that about us page is really important to make readers into loyal readers. yes it’s essential to get the trust from readers so that they can buy from our referral links or gain more profits. Good stuff — I think the personal approach definitely boosts your credibility and can help out newer bloggers. Maybe you don’t have 10k+ followers/subscribers, but putting your real photo on your site, using your real name, and connecting your site to your real google plus/social media profiles puts you way ahead of most sites. By the way, for a while I was really putting my email out there because I wanted to connect with my readers — it worked out, almost too much, and I feel like I was doing too much 1 on 1 help because I wasn’t sharing that content with the rest of my viewers. Should I try to push these people towards commenting rather than emailing me so that all the info/content is public… or do you think connecting with your viewers over email is pretty valuable in itself? I think it’s always a good idea to engage with your followers by email, it really helps to build a strong connection. What I tend to do is, where there is something that would benefit other readers, turn the information/advice into a new post for the site. Great minds think alike 🙂 I just finished a post on social proof and building trust, then read your section on it. I completely agree that there needs to be a personal element and some warmth, even in sales copy. Too much of the writing on the web reads like a university thesis or dissertation… technically perfect, but essentially unreadable for anyone not paid to do so. haha, I’ll check out your post just now! Yeah Photo is really important and first step to trust building. These tips are really informative for trust build and I’d say it’s important gain more readers.